Launched in September 2012, the White Plains Community Youth Court is a community-based juvenile justice initiative founded by the White Plains Youth Bureau. The goal of the Community Youth Court is to deter and prevent juvenile delinquency and alcohol, tobacco, and other drug use amongst youth in the City of White Plains. The goal of the Community Youth Court is to promote restorative justice principles and facilitate healthy positive outcomes for youth and families while improving community quality of life. Youth courts are youth-led programs in which youth sentence their peers for minor delinquent and status offenses and other problem behaviors. Currently there are over 1,050 youth court programs in operation in 49 states and over 100 in operation within New York State. Locally, there exists a positive base of support for youth courts in Westchester County- with programs collectively in existence for over 30 years within New Rochelle, Greenburgh, and Yorktown Heights, amongst other areas. The White Plains Community Youth Court adheres to the youth-judge youth court model, accepting for sentencing purposes, actual low-level non-violent misdemeanor and violation cases committed by youth under the age of 16 years. The program also features youth volunteers as members of the court to serve in the roles of prosecution and defense attorney, court clerk, court bailiff, peer jury member and judge. 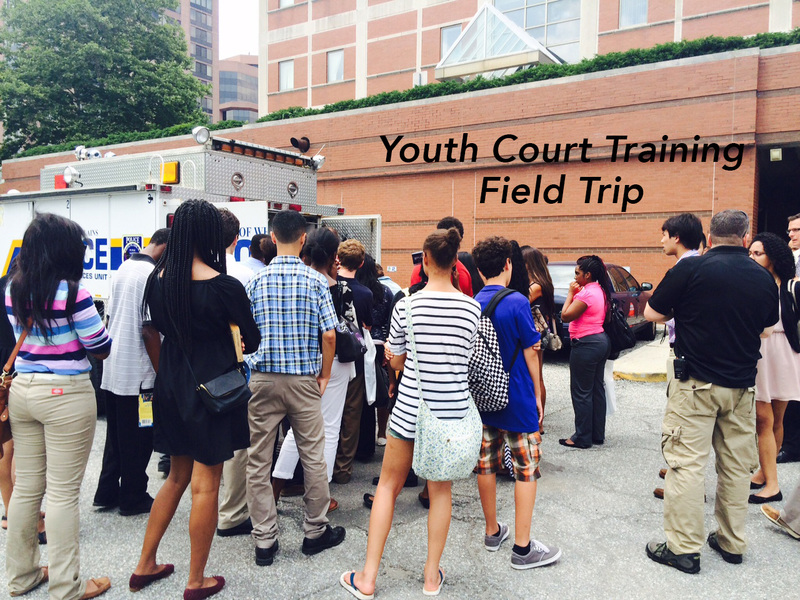 Youth that serve as volunteer members of the court are trained by partnering legal representatives and criminal justice agencies from the White Plains Bar Association, the Westchester County District Attorney’s Office, White Plains Police Department, and the Westchester County Department of Probation. 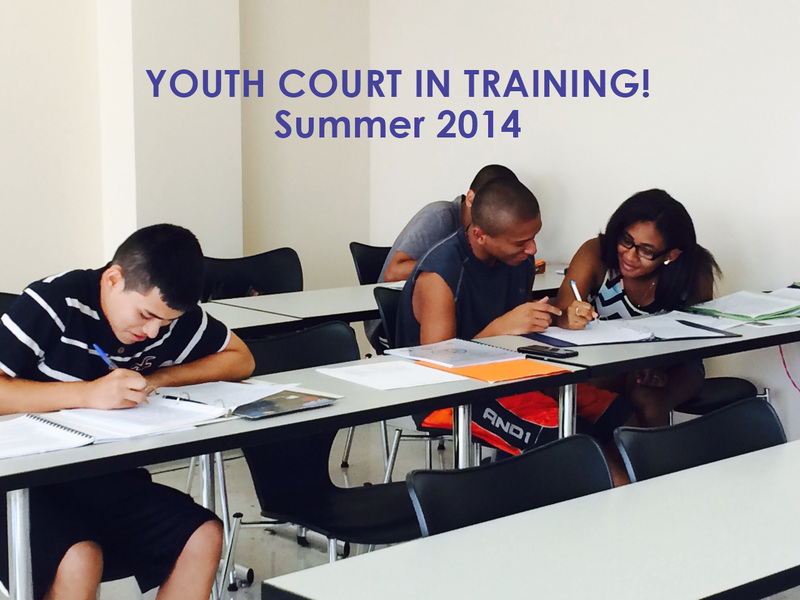 The training of youth court members to serve as prosecution and defense attorneys, court bailiff, court clerk, and judge is participatory and educational, focusing on teaching youth about the juvenile and criminal justice systems, civics, and the legal profession. Youth interested in law, criminal justice, political science, and civics will find the opportunity most attractive and engaging. In maintaining a focus on restorative justice principles, the training will also feature community-peer mobilization and positive community and peer relationship building as focal points. The training is scheduled for late Spring 2012. The White Plains Community Youth Court serves as a community teaching and prevention tool by providing youth volunteers with educational legal and criminal justice-based training as well as the opportunity to develop practical civics and law experiences. It also serves to educate youth defendants and the parents and family members of youth defendants by providing both defendants and their families with meaningful and educational sanctions as part of the youth court’s sentencing procedure. The program includes the provision of social enrichment and alcohol/drug abstention educational awareness for families of defendants and youth defendants through their participation in meaningful and educational workshops and sanctions as part of the proposed youth court. As youth court is an inexpensive program, fully supported by the federal Drug Free Communities Support program, it will also provide youth with the opportunity to avoid incurring a criminal record through diversion from formal court proceedings. To serve as an effort to reduce juvenile delinquency and thwart the progression of juvenile delinquent behavior to adult criminal behavior. To decrease the consumption of alcohol by youth in the community. To promote positive peer influence and leadership through civic engagement and mentoring with exposure to the legal profession and juvenile justice system. White Plains Department of Public Safety, Westchester County District Attorney’s Office, White Plains Office of the Mayor, Westchester County Department of Probation, Calvary Baptist Church, White Plains Youth and Families, Westchester County Attorney’s Office, Westchester County Family Court Judge Kathie E. Davidson, White Plains City Court Judge Jo Ann Friia, White Plains Bar Association, El Centro Hispano Agency, White Plains Public Library, Department of Recreation and Parks, and Pace University School of Law, amongst others. Youth Court Training In Action! I’m interested in joining Youth Court. Please contact me.